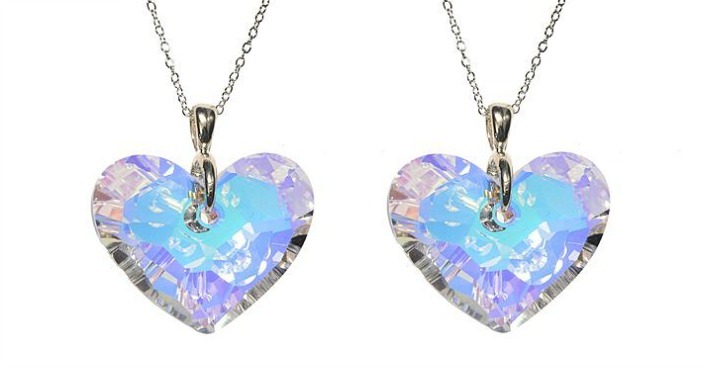 Truly In Love Swarovski Crystal Heart Pendant Just $14.99! Down From $100! You are here: Home / Great Deals / Truly In Love Swarovski Crystal Heart Pendant Just $14.99! Down From $100! Sears has this Truly In Love Swarovski Crystal Heart Pendant on sale for just $14.99 (Reg. $100)! This colored Swarovski crystal pendant with an 18 in. silver chain makes a great accent to your daily outfits. It can also be a great gift idea for your loved ones.